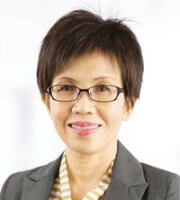 Sau Yin Tham is the executive director and general manager at Henry Goh, and is one of the firm’s longest serving members. She holds a BA degree from the University of Canterbury in Christchurch, New Zealand, and heads the formalities team of the trademark department at Henry Goh. In addition to her corporate responsibilities, she also oversees the general administration of Henry Goh’s trademark department, including its day-to-day operations, supervising filing and prosecution work and staff training, as well as meeting and advising local and foreign clients. She is Henry Goh’s most senior registered Malaysian trademark agent and represents clients before the Malaysian IP Office (MyIPO) in non-contentious hearings. 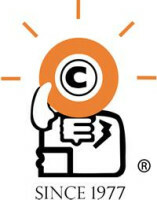 Ms Tham is a member of the Malaysian Intellectual Property Association and the International Trademark Association. Almost three decades of experience – two-thirds of which as a trademark agent – and participation at various local and international conferences have exposed her to the intricacies of trademark law and practice. The depth of knowledge and experience gained has stood her in good stead when dealing with clients and trademark authorities. Her extensive experience in the procedures of Malaysian trademark protection and close rapport with MyIPO officials are invaluable to Henry Goh and its clients.